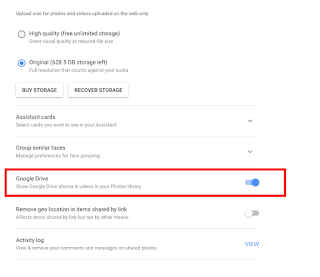 Ben's Journal: Lost in Google Space; Untangling the Mystery that is Google Drive and Google Photos Integration. 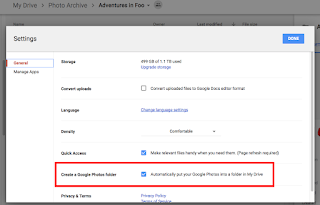 Lost in Google Space; Untangling the Mystery that is Google Drive and Google Photos Integration. Yet the simple act of finding a photo in the Google Photos that's stored in Google Drive is a hit and miss operation, with miss being the usual outcome. Consider the latest conundrum I got myself into: I uploaded a whole heap of photos in Google Drive. They were nowhere to be found in my photo stream. Of course, my Google Photos stream is a mess, containing 300 photos from the last *weekend* alone. So I'm sure they were there, but they weren't obviously visible. Ahhh, but this is a Google product, so surely the answer is to search. And search I did. I searched for the filename. Nothing. I searched for various dates associated with the photo (the create date, the upload date, etc.). Nothing. Perhaps the photos didn't get imported? I tried to upload them again. 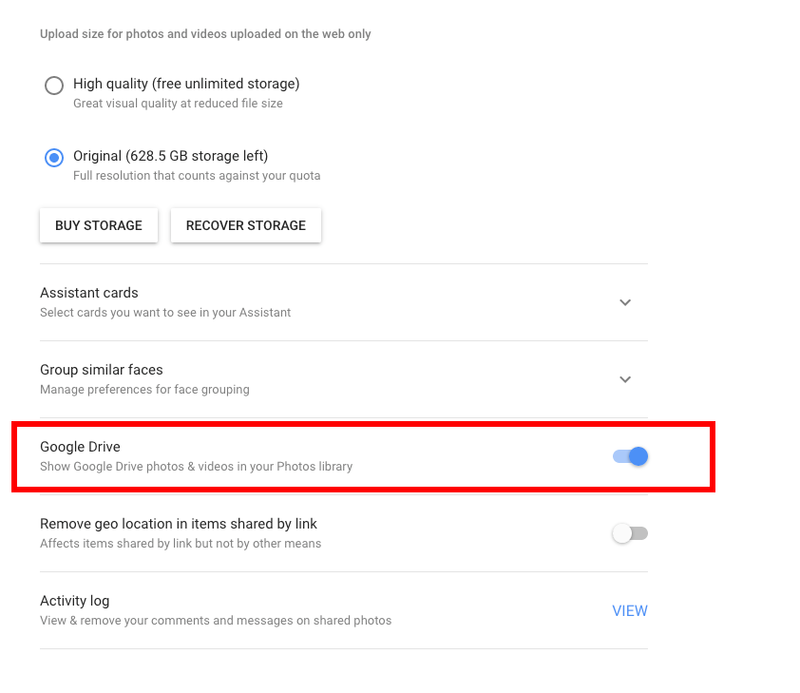 The thing is, Google Photos is smart enough to not recreate photos that have already been uploaded. While I could upload photos, and Google would report success, I was still left with no idea where the photos were. My first break came when I searched for 'pumpkin' - that is, an object in one of the photos. *That* Google could find. Sheesh. The filename wasn't supported, but searching by object was. I then looked at the date on that photo and found a few more. But where were the rest? On a whim, I tried searching for the folder name. Oddly enough, Google Photos seemed to know about the folder name, but when I search for it, nothing came up. 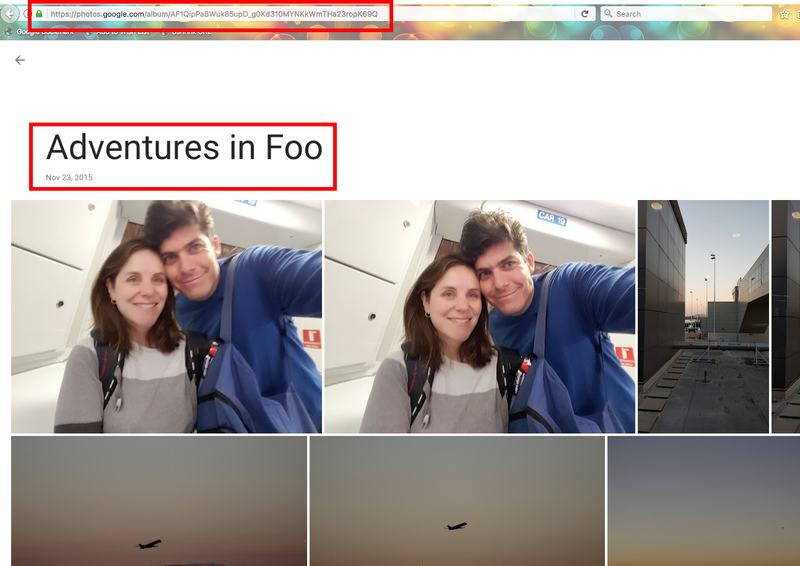 Yet running that search, brought up photos of adventures, not the specific photos I was looking for. And finally, success, I found myself at an album. 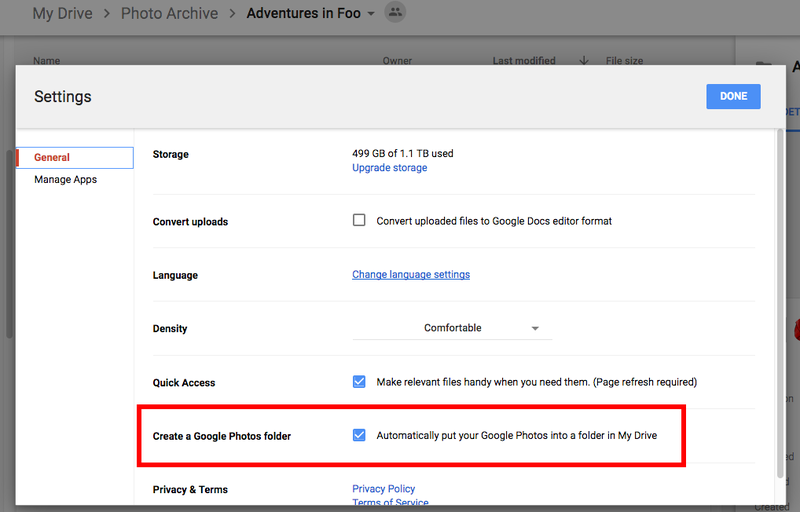 And that appears to be the magic that ties Google Photos and Google Drive together. All photos in drive are implicitly put into albums named by their folder. You can search for and select the album from with the Google Search bar. You can't search for the folder name, or find these albums on the list of Google Photo albums you manually created. Nope, you need to search for and click on the album in the search bar. That's a remarkably subtle UI choice, as the auto-complete option is typically there as a convenience. In this case, it's the seemingly only route to get to the album. Surely Google knows this confusing? At least I finally get it. Not only did I search for the album name of the big block of photos that I uploaded. But, I found that I could re-organize the files in drive and have them show up in a new virtual album seamlessly. Ultimately, this is confusing but cool.